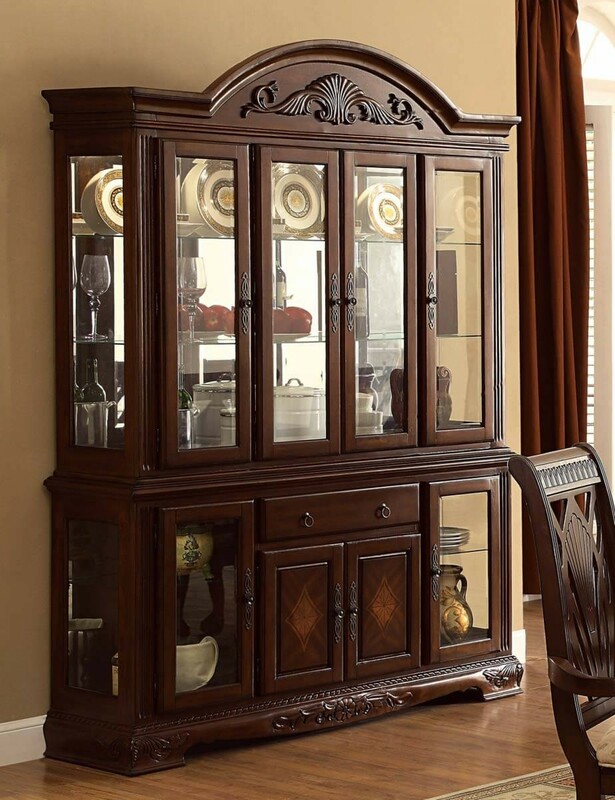 Traditional design elements are elegantly layered to create the beautiful Homelegance Norwich Collection. 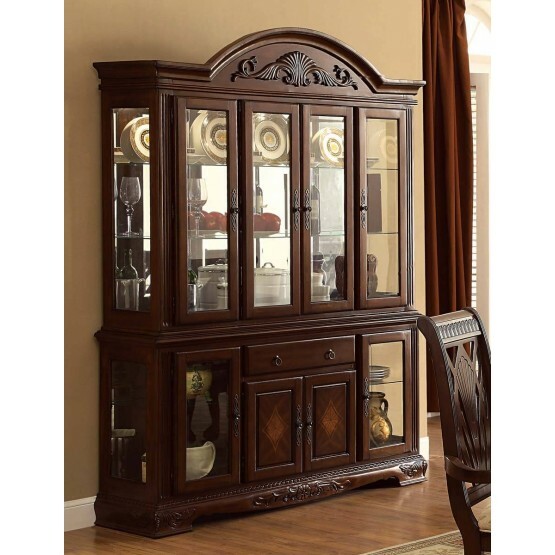 With the China's glass fronted doors providing a view of your cherished tabletop accessories, there is also drawer and wood fronted cabinets that allow for additional storage space. W60" x D16.5" x H84"